With children, an entirely organized and decluttered closet may be too much to ask for…However, it is possible to help your children get their space reasonably organized and ready for the upcoming school year. Set a time to help your kids go through their closet to guide them on how best to organize their clothing and help them determine which clothing they should donate or throw away. Then, as a reward, take your children back-to-school shopping so they have new clothing for a new school year. The organization doesn’t stop there. Add bookcases and shelves to their room to keep their books and other items organized. You’ll be happy you did when their stuff isn’t scattered all over their bedroom floor or throughout the remainder of the house. Do your children have a designated location to complete their homework or study for an upcoming test? Maybe that area in the past has been the kitchen table or island – and, perhaps this works for your family. However, to better prepare you children for the upcoming year and to ensure they don't get distracted when studying, create a designated study space in their bedroom or another area of the home. This can be as easy as adding a desk and chair to their room. Do you have a mudroom? If so, clear it so it can be used as a storage space for your children’s backpacks, shoes, jackets and more. If you don’t have a mudroom, create a space somewhere in the home (usually the entryway) to add hooks or cubbies so your children have somewhere to put their everyday school supplies. You'll be happy you designated space for these items when they aren't cluttering your kitchen table or island every night of the week. It’s time to take your kids back-to-school shopping! To help your children stay organized, consider adding a space in the mudroom or entryway to store and organize your children's school supplies and extra items for the upcoming year. If you have several children, it can be hard to stay on top of all the piano recitals, school open houses, parent-teacher conferences and more. Create a calendar to ensure you don't forget about any of these upcoming dates. A daily routine can be extremely beneficial to your children’s success in school. Before the school year begins, consider re-acquainting your children to a school mode routine. Begin enforcing earlier bedtimes and consider waking your children up earlier in the morning to help them readjust to the school year schedule. You and your children will appreciate that you have already taken the time to adjust them before the school year even begins. 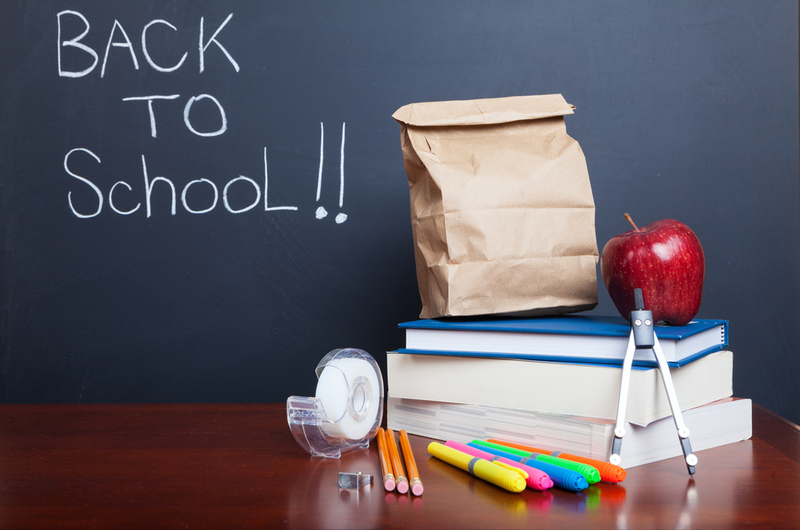 These tips will ensure you and your home are ready for the school year ahead! Do you have any questions? Give me a call anytime.